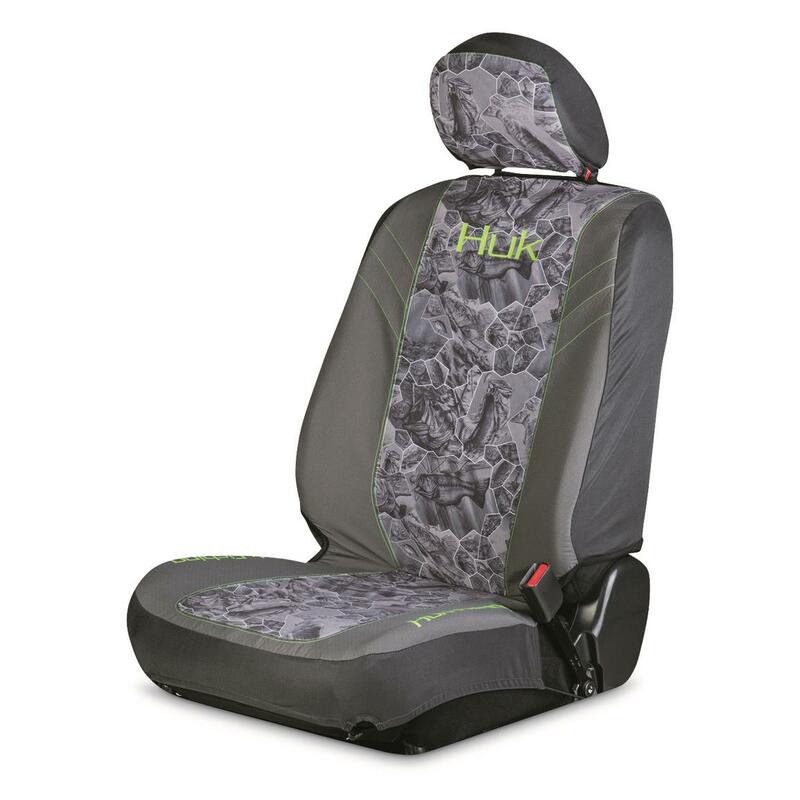 Keep the interior of your ride in tip-top shape with Huk Low-back Seat Covers. These awesome color designs will set you apart from the boring seat covers lining the interiors of your buddies' trucks. In fact, the Freshwater Cell Gray is the slick aquatic artwork of K.C. Scott. 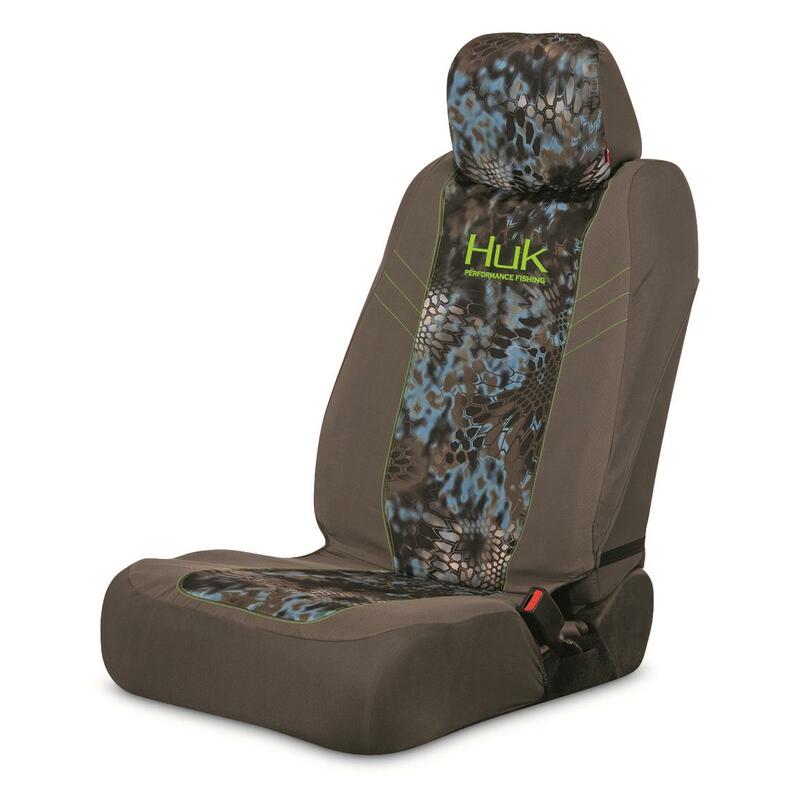 And not only do these Seat Cover look fabulous, their heavy-duty polyester construction provides topnotch protection. Safety Seam technology allows for side air bag compatibility, while built-in access design easily allows the use of arm rests, seat controls, back seat pocket seat belts and cup holders. Plus, foam-backing prevents the Covers from shifting and helps keep them in place. Complete the look of your vehicle's interior by pairing up your Covers with Huk Front Floor Mats (Item 704707) and Steering Wheel Cover (Item 704708). Huk Low Back Seat Cover is rated 4.0 out of 5 by 1. Rated 4 out of 5 by omnifish from acceptable protection cool looking covers, just a bit lighter material than I was hoping for but they should protect the seats from daily use. Installed in a 2015 Chevy City Express van, they went on easy enough and fit pretty well, considering they are a universal fit product. For the price, I think they will do fine, hopefully will last a while.